Posted on March 10, 2016 at 5:27 pm. 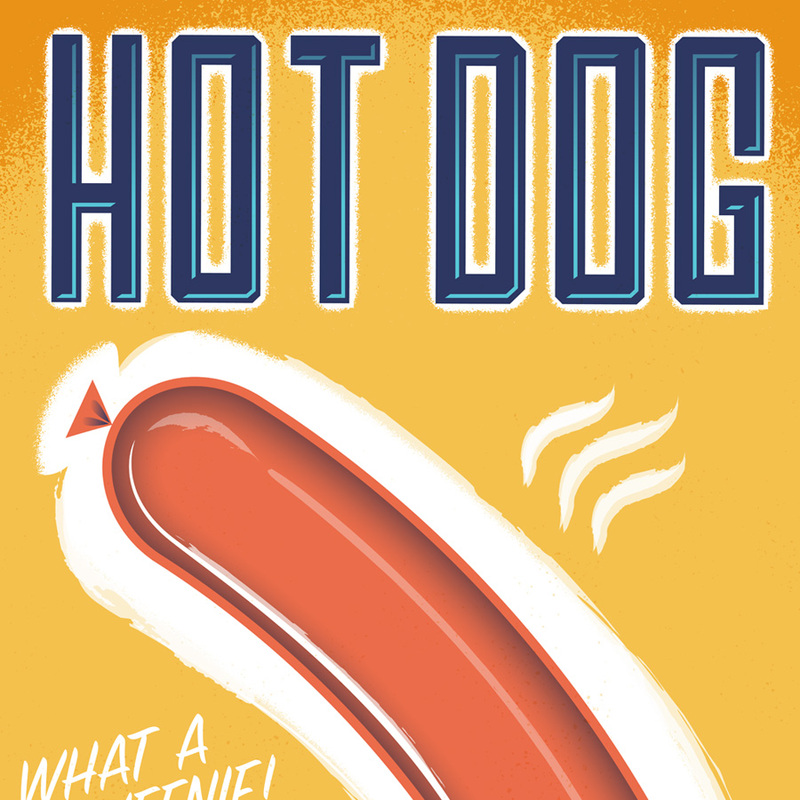 This January, I illustrated a poster for Short Leash Hotdogs in downtown Phoenix. 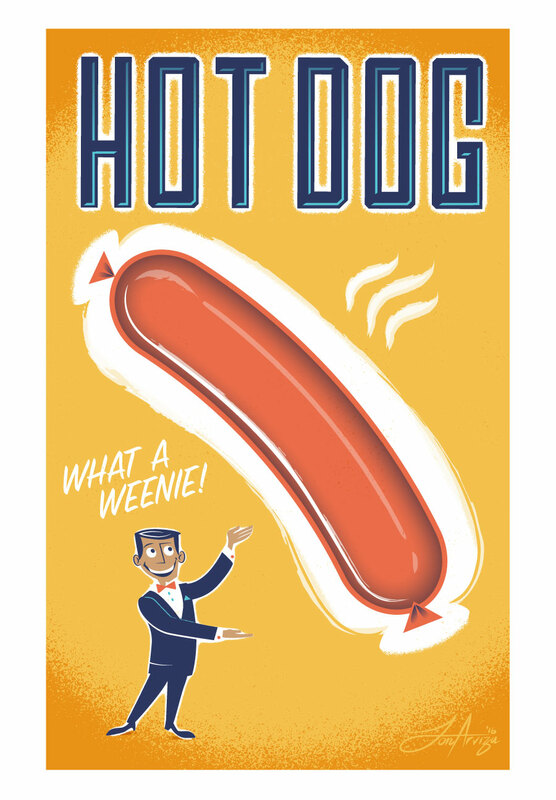 The concept was simple, create a fun, retro-inspired poster designed that makes you hungry! The whole vibe of the restaurant is low-key and wonderful. I particularly like the crispy dogs. The finished 24×36 poster will hang in their gallery space. 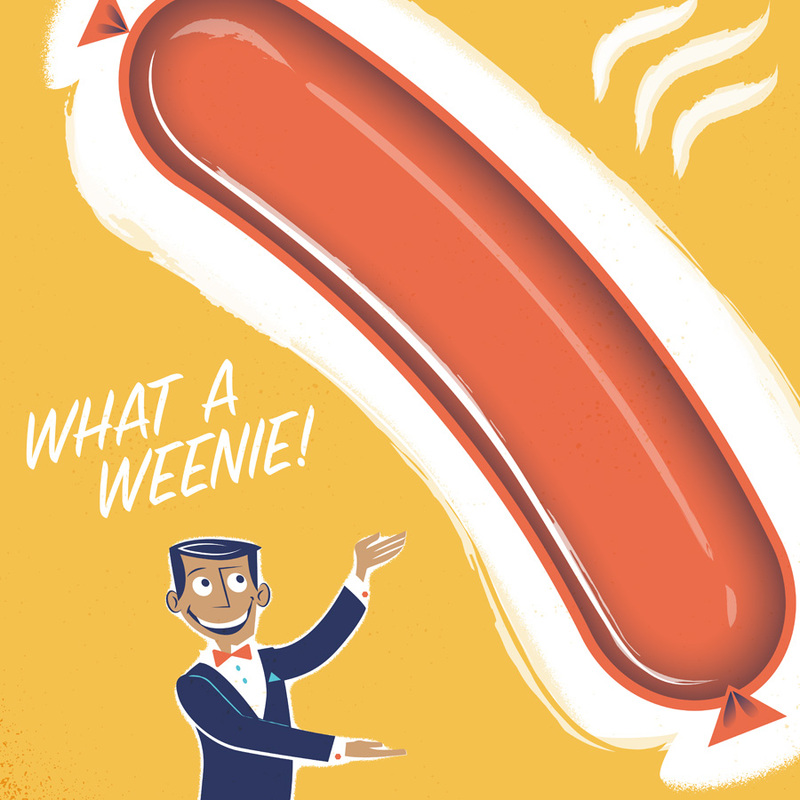 What a Weenie! 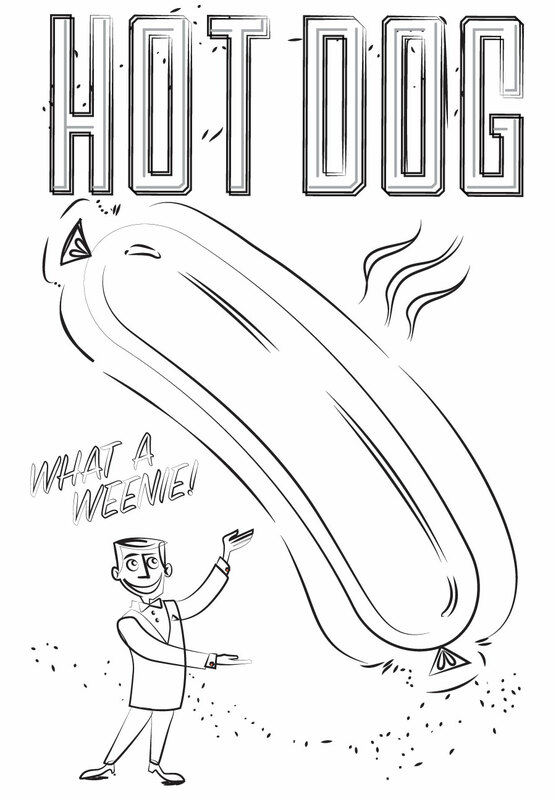 Sketch: A slick salesman extolling the virtues of cased meat. Bold and blocky sans-serif headline with a little softnesss around the edges. 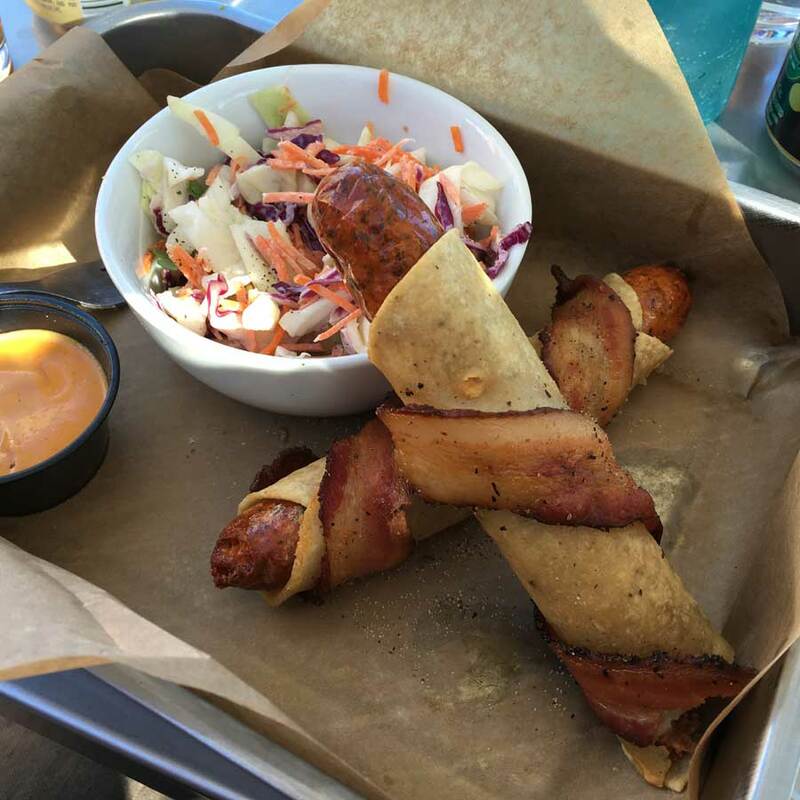 Bacon wrapped Crispy Dogs with cole slaw and Dragon Sauce. NOM!